Home Stock Can you stop the bull from running? Can you stop the bull from running? Oh no… The bull escaped and running since 9 March 2009 till now. What can we do? Should we buy more stock to keep for future since it is sign of economy recovery from bottom? Or sell some stocks due to the bull is going to stop running for awhile because the index is too high already? Buy or sell? That’s the common question will ask by investors. However, it is not an easy question to answer. You need to study and do research before answer that. 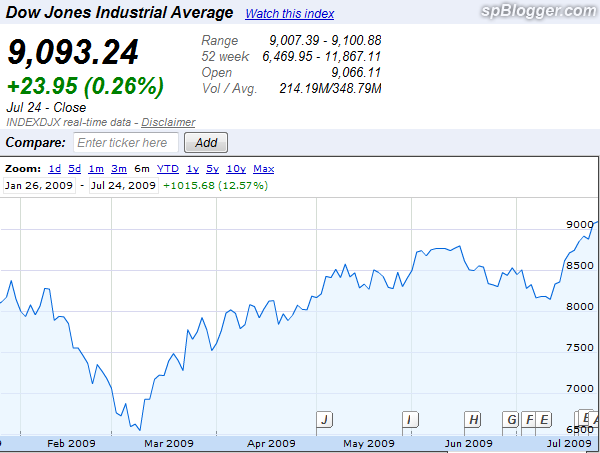 I made a call that I will only enter stock market on Q3 during February 2009. The economy will be recovered starting Q3. However, some of my colleagues said that should enter in March. Too bad that I did not dare to enter that time. I wonder how much did that colleague earn… Yup. The economy does look like in recovery mode since Q2. With strong Q3 earning report from most of the companies, the sign of recovery look brighter everyday. 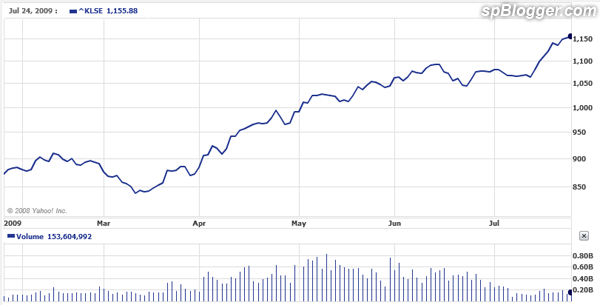 By the way, the stock market always reflexes the future like around 4 – 6 months ahead. That’s mean if you think the economy will turn bad or good, you need to act 4 months before. Back to the question, buy or sell? Buy if you think the stock can still perform more than 10% in next 12 months. Else it’s time to exit stock market. Next articleTanjong Plc ~ how high can you reach? Is December good time to invest in stock market? When to buy Tanjong PLC stock again?